Seen as expanding the quantified self (QS), the quantified baby (QB) movement refers to tracking and collecting various data on your child’s activities and bodily functions. Knowing that your offspring is well and happy just by checking your smartphone can be reassuring to some, especially new parents who lack experience. 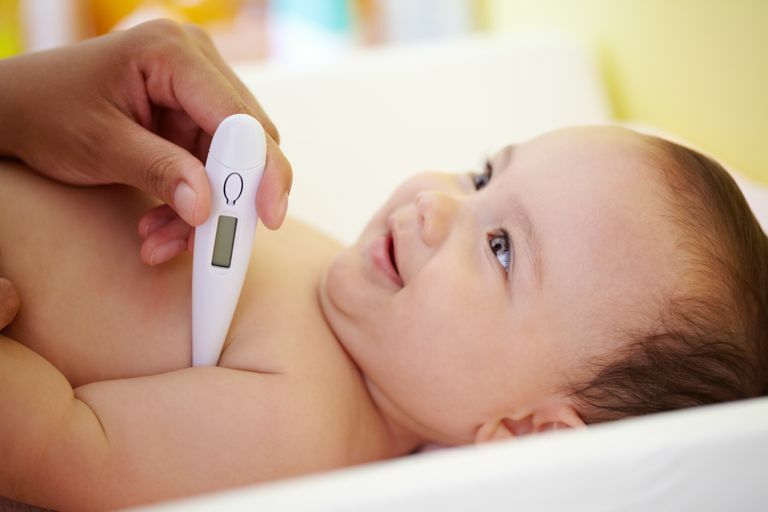 There is no magic solution that will give a new parent complete piece of mind, but there are many devices now available that can assist parents in monitoring their baby, some that can do this even before he or she is born. There are many baby monitors on the market now that can give you visual insight into your baby’s activities. Some come with high-definition and WiFi options, as well as enable two-way communication with your child. If you have more than one infant, you can choose a solution that comes with multiple cameras to monitor as many cribs as are needed. Infrared vision makes sure you can check on your baby at night. Technology has made it so that a parent can make sure almost nothing goes unnoticed. However, some argue new parents might want to be careful not to get consumed by constant fear and worry. Monitoring has its limits and should probably not interfere with a healthy dose of a more relaxed parenting style. Most diapers now come with some type of indicator that lets a parent know when it is time for a diaper change. Keeping a baby dry helps limit a baby’s risk of infection. Huggies’ TweetPee took things one step further and included a clip-on device shaped like a bird that detected humidity, and a companion iPhone app that sent parents a Tweet to let them know about their child’s wetness. In 2013, there was a lot of publicity around this innovation. It was first announced that the app was only available in Portuguese and that English speakers would have to wait a bit longer. However, there has recently been no news of the TweetPee, and it is unclear whether this device is still marketed. Waterproof digital wristbands meant for tracking aspects of child behavior come in tiny sizes and can be worn from birth. These devices can collect and store numerous data—from exercise levels to sleep patterns to allergy information. These devices can also alert parents if their child wanders off. New devices that can measure a child's level of stress are also being developed. One such system has been presented by researchers from the Faculty of Electrical Engineering in Johor Bahru, Malaysia. Their prototype design measures heart rate and galvanic skin response (a change in the electrical conductivity of the skin) and communicates with a decision-making module that determines the level of stress. It can detect the slightest changes in stress levels. The research team explains that this device could be particularly useful for children who are not able to express their emotions clearly, for example, children with autism. It could help prevent anxiety attacks by identifying signs of mounting stress earlier. They are now working on reducing the size of the system so it could fit into a watch or a wristband. A baby’s sleeping pattern is a source of concern and angst for many parents. A Boston-based startup is looking into ways that potentially could prolong a baby’s sleep and make it less fragmented. The company’s first product—called the Mimo—has received early publicity and praise. It is a onesie for babies with built-in sensors that detect respiration, pressure, temperature and moisture. The Mimo also tracks a baby’s sleep and can eventually notify the parents of their baby’s predicted wake-up time so they can better plan downtime. Moreover, the Mimo can track the quality of the infant’s sleep and possibly help prevent Sudden Infant Death Syndrome (SIDS) from occurring. A baby’s tracking can begin before birth, and many future parents find themselves becoming members of various online communities. Fertility trackers, like the app Fertility Friend, aim to assist with conception. Once successful, one can join groups of other women who are expecting at about the same time. On both the App Store and Google Play, there are applications for almost every aspect of pregnancy and child development, as well as birth preparation sites. However, some are not science-based, so a savvy consumer is wise to do a little research before investing. After the baby is born, online communities can also be a source of information sharing for many new parents. In some cases, such as when children are diagnosed with rare conditions or have health difficulties, parents can gain support and knowledge through online connections. However, some studies show that these groups can also increase parental stress and fear behaviors. Over-tracking—especially on behalf of someone other than yourself—can be counterproductive. Digital health technology in most cases is meant to augment and improve existing processes. These devices can potentially help with some aspects of your child’s care but are not meant to be replacements for good parenting and common sense. One final word of caution: the consequences of early exposure to microwave frequencies are still being studied and have not been determined yet, which might be a point worth exploring before fitting your baby or child with any device that transmits data wirelessly. Balkhi A, Reid A, McNamara J, Geffken G. The diabetes online community: the importance of forum use in parents of children with type 1 diabetes. Pediatric Diabetes, 2014;(6):408-415. Gul Airij A, Khalil-Hani M, Bakhteri R. Smart wearable stress monitoring device for autistic children. Jurnal Teknologi, 2016;78(7-5):75-81. Plotz T. Mobile Phone Radiation and Cancer. Physics Teacher, 2017;55(4):210-213. Yerim C, Yu-Mi J, Lin W, Kwanho K. A Biological Signal-Based Stress Monitoring Framework for Children Using Wearable Devices. Sensors, 2017;17(9):1936.